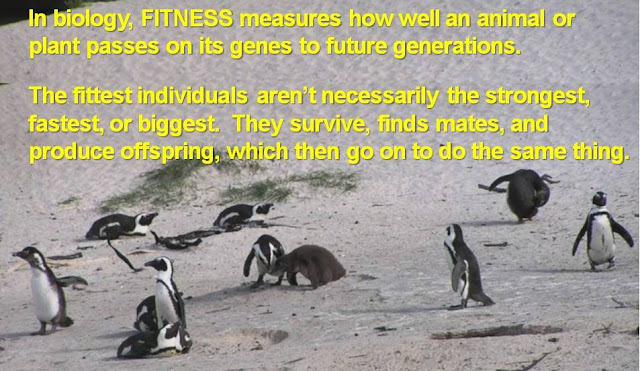 All-species fitness: Who eats all day (and gets big but not fat)? ...It isn't the critters eating fast food captured in an earlier post. And it isn't us humans (though we all know some guys that seem to eat all day without gaining an ounce, but forget them). It could be the Nubian ibex from another earlier post, except that it lives in the desert and spends its time defying gravity and outwitting predators waiting for it at the only sources of water in the region, so it burns calories just thinking about its next move. And actually, yes, some of them are huge. Think elephants, giraffes, or rhinoceros! But those big bellies are not necessarily fat, and they are big because they really are eating ALL day. Yes, I know we humans eat plants! But herbivores not only make plants their mainstay (like, say, vegans), they are DESIGNED for it in a way that humans (even vegans) and other animals (meat-eaters, fruit-eaters, insect-eaters) are not. Read on to find out what I mean by herbivore, what they eat, how they can eat that stuff, why some are, in fact, huge, and which 10 herbivores you most want to avoid! You might be thinking cow, horse, goat, sheep, and you'd be right -- these 4 domesticated mammals all eat plants for a living. Think a bit more, though: herbivores come in all shapes and sizes, from elephants to insects, and they occupy much of the animal kingdom, plus some fungi (e.g. Dutch Elm disease). This post and the next two will focus on vertebrates, but check back in the future to see more on how insects eat a lot but keep their small size (hint: they periodically grow a new external skeleton). So, what do horses and sheep have in common with other herbivores? (1) They eat plants, and (2) they have adapted many features to do it as advantageously as possible. In this post, I'll focus on the eating part, and in the next, on herbivory's advantages (hint: plants are common! ), and in the third, on herbivory's disadvantages and the adaptations needed to eat plants. 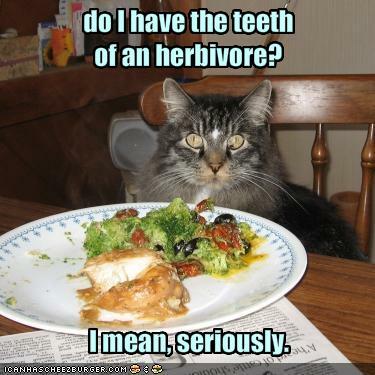 But herbivores don't eat all parts of all plants. 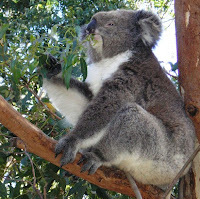 Some specialize on a single type of plant, as pandas specialize on bamboo and koalas on Eucalyptus. 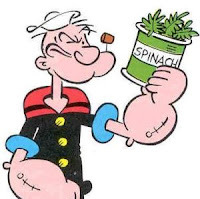 Others eat a variety of different plant parts and species: they might munch on leaves, buds, flowers, fruits, stems, roots, bark, or several of the above. Folivores, which include most domesticated mammals (sheep, goats, cows, horses), as well as deer, antelope, sloths, koalas, and certain monkeys, eat the green stuff - the leaves, buds, stems, and grasses. Nectivores such as bats and hummingbirds eat nectar from flowers. Frugivores (think most monkeys, bears, many birds) eat fruits, while granivores (e.g. squirrels, mice, birds such as parrots, pigeons, and finches) specialize on seeds. Animals that eat the reproductive parts of plants -- the flowers, fruits, and seeds -- are sometimes considered separately from the folivores. Larger folivores will be our focus. They tend toward one of two feeding patterns -- browsing or grazing -- although some species do both. Browsers nip the leaves, buds, and (soft) green stems from plants, while grazers munch grasses and other ground-level vegetation. In other words, they graze! Dividing up the surrounding plant smorgasbord (called resource partitioning) this way allows many species to co-exist without competing. What's the difference between grazers and browsers? Grazers tend to live in areas where grass is plentiful, and the convenient location of grass on the ground allows the grazers to eat big bunches at a time. 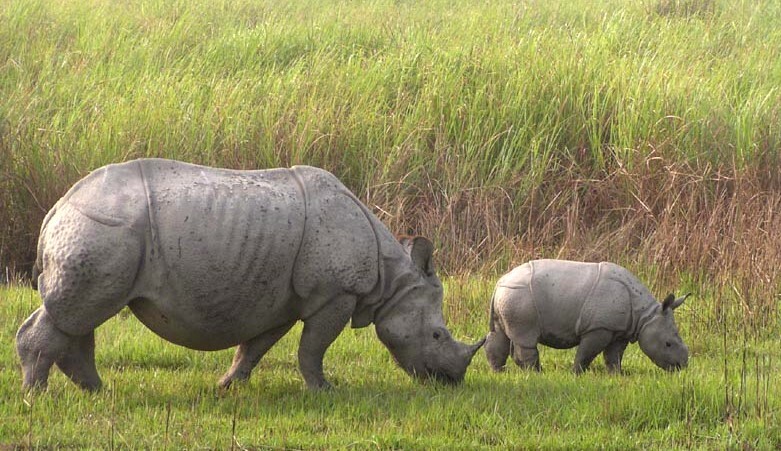 Sheep, cattle, and other grazers like the gaur and rhino of eastern India (right), often have wide, flat muzzles to take in maximum grass and as little soil and grit as possible. When grasses are sprouting, such as after a wet season, grazers feed on the newer portions of the grasses, which are richer in nutrients and found at the tips of roots or stems. Grazing animals generally need to drink water regularly, and they are the ones that migrate seasonally in search of moisture and more nutritious grasses. The famous herds of wildebeest and zebra on the African plains move seasonally between Tanzania and Kenya in search of both surface water and high-quality grasses, which may be those with higher phosphorous and nitrogen content. Compared to grasses, the leaves, buds, and other yummies inside shrub or tree canopies are hard to reach and often lower in nutrients and/or defended chemically or physically by the plant. Mammals that are tall with long necks or trunks, such as giraffes and elephants, or arboreal (live in trees), such as monkeys, can access vegetation that terrestrial mammals can't. On the upside, deer in colder climates are browsers, so they can access food even when ground-level vegetation is buried under the snow. New leaves and buds are the tastiest bits of tree-bound vegetation, but of course they are surrounded by twigs, which are made of indigestible wood, and thus a waste of effort to consume. So browsers have to be selective in their snacking. Unlike the broad-mouthed grazers, browsing specialists can often be detected by their relatively slender snouts, which they can poke into the tree or shrub to get at the best morsels. Compare the relatively long, narrow head and jaw of a deer to the broad ones of a horse or bison, and you, too, can start to predict an herbivore's feeding strategy! 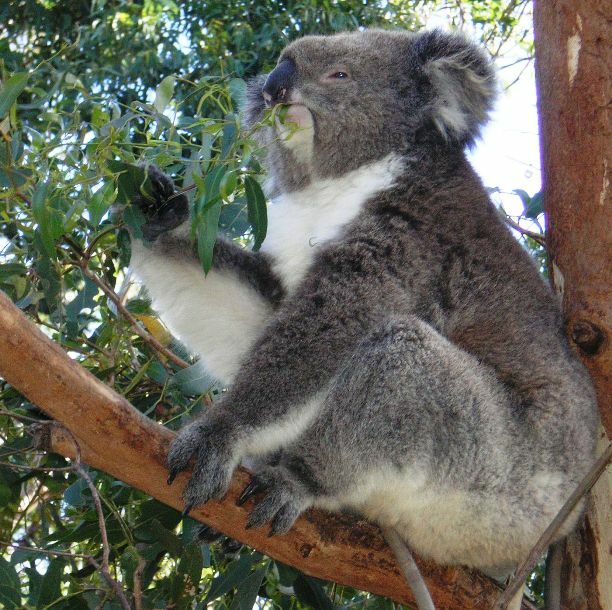 And, of course, arboreal folivores, including koalas, sloths, and some monkeys, can just use their fingers to grab specific leaves or branches, avoiding the whole broad vs narrow head question. Animals that both graze and browse: 1) are very large-bodied (buffalo! elephant!) and so need to take in a lot of food just to maintain their metabolism; 2) have minimal time to eat as much as possible before they reproduce, like many insects (think caterpillars! ); or 3) are in a drought and will feed on whatever materials they can process. Some dry-season foods are pretty tough, bitter, and unappetizing, even for herbivores. How do these species survive on their diet of grass, or leaves, and the occasional doses of bark or twigs? Tune in to the next post! The National Geographic education page provides a full discussion of herbivory: different types of herbivores, their adaptations to eating only plants, etc. Wikipedia also has extensive information on the evolution of herbivores, their role in the food chain, and the offense-defense strategies they and the plants keep evolving to overcome the other. The Nature Knowledge project for more information on predators of all types, including plant predators! Grazing and browsing among some of the well-known herbivores of the African plains. A variety of East African browsers in this lovely video from BBC's wonderful collection of nature photos and videos. Michael Breed's online Animal Behavior book page on these two feeding strategies.